Hit the road with the Ringmaster, Rory the Lion, Ellie the Elephant, and the entire crew of Cinema Circus as we venture out across the Island this summer. Bring the whole family to Chilmark, West Tisbury, and Oak Bluffs for amazing afternoons of filmmaking, film watching, circus shows, face painting, and more. Not only have we expanded Cinema Circus hours and locations—we've made all of its events FREE! Feel free to swing by at any point in the day and stay for as long as you want. See this week's full schedule for age specific events. 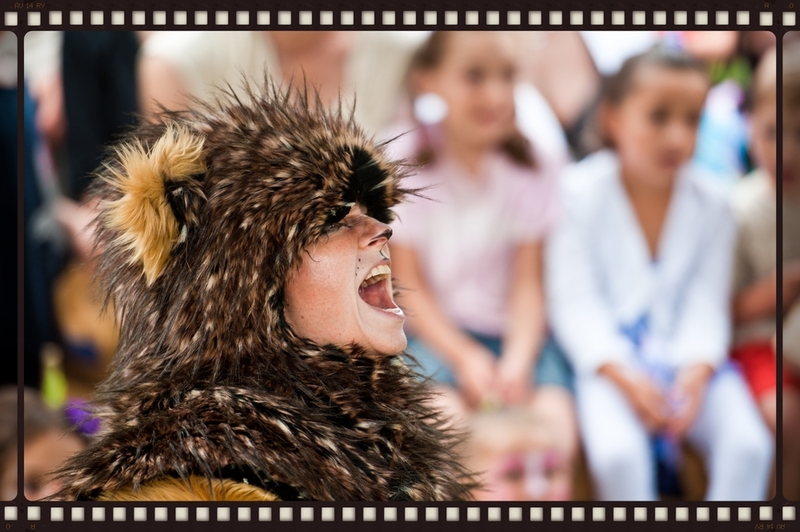 Enjoy movies and filmmaking workshops, face-painting, dress-up, bubble-blowing, and two hilarious shows each Sunday! All films and activities are FREE this summer. Delicious and affordable meals and treats will be available for purchase from Quitsa Cuisine. Full schedule of events. Cinema Circus: End Of Summer Blowout in O.B.